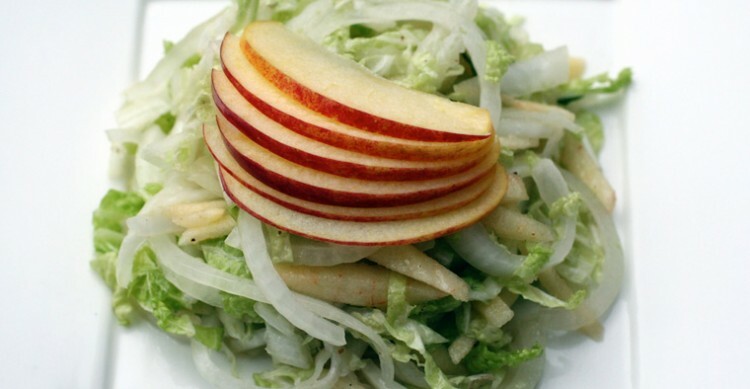 In large bowl, toss together julienned Napa cabbage, Pazazz apple and onion. In small bowl, whisk together grape seed oil, apple cider vinegar, honey, sea salt and pepper. Drizzle vinaigrette over slaw and toss.